Transformational play as a theory has emerged through our design and research on games for learning. 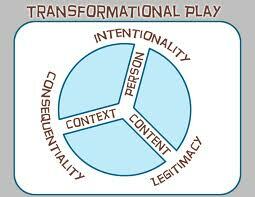 The idea of transformational play highlights relations among the three interconnected elements of person, content, and context. Specifically, transformational play (see Teacher article or Researcher article) involves positioning students as empowered actors who must understand and enlist academic content in order to effectively transform problematic scenarios. 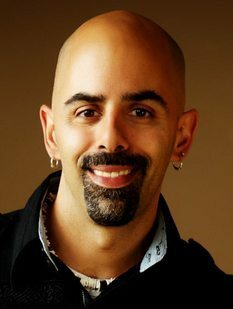 … More than sugar-coating content to coerce disempowered students into caring about disciplinary knowledge, games can establish worlds where children are transformed into empowered scientists, doctors, reporters, and mathematicians who have to understand disciplinary content to accomplish desired ends. Instead, the games we design offer something new to learners; unlike any other form of curriculum, these games offer entire worlds in which learners are central, important participants; a place where the actions of a ten-year old can have significant impact on the world; and a place in which what you know is directly related to what you are able to do and, ultimately, who you become. Students who play transformationally become protagonists who use the knowledge, skills, and concepts of the educational content to first make sense of a situation and then make choices that actually transform the play space and the player—they are able to see how that space changed because of their own efforts. (See the Worked Example offering hosted by MIT Press). What is so significant about learning in these contexts is how incredibly natural it becomes, minimizing the distinction between knowing and doing and between doing and becoming such that “what one knows” and “what one can do” and even “who one is” all become fused as part of the gameplay. So, for example, while playing one of our designed science-based worlds, solving a water quality problem involves applying a conceptual understanding about water quality as one tests and interprets different water samples with the eventual goal of identifying bad logging practices which, when changed, repositions ones identity among the virtual park rangers who now see the player as an environmental scientist. In this way, knowing about water quality, doing lab experiments, and becoming a scientist are integrated. It is in this way that games can provide a powerful opportunity for integrating and positioning person, content, and context in mutually transformative way.